With the Six Invitational 2019 tournament kicking off tomorrow, Abir and Jake chewed the fat with retired Rainbow Six Siege contender and current Fnatic Team Director and Coach Jayden “Dizzle” Saunders to discuss his team’s prospects, life as a team coach, and the future of Australian Esports. How does it feel representing Australia in an international competition? To be honest, it wasn’t until this question was posed this way that I had even considered it like this. We always talk about representing Fnatic and our region of Asia-Pacific and to some extent Australia & New Zealand but, upon reflection, it is a very humbling and surreal experience. I guess as Esports is still in its infancy in Australia, it still doesn’t feel quite as legitimate as it probably should. How is the atmosphere in the Fnatic locker room before the Six Invitational? Usually it is pretty relaxed. Ducks on a pond, so to speak. Quiet nerves are there but we are always keen to get out and play and do our best. The guys are a pretty laid back bunch and quite fun, so I think that the atmosphere is generally the same. What’s the team’s target for this Six Invitational? Personally, I would like to see a Top 4 finish. Everyone wants to win it, but Top 4 is a goal that I would like to see realised. Making Top 8 and playing on the stage, whilst [being] an achievement one could be proud of, I don’t think that I will be going home happy with that. Content, but not happy. How do you keep the team engaged with the game and the bootcamp as a whole? I try to give [our players] a mix of different teams and playstyles. This way, they are always learning something. They have a lot of fun in scrims and practice, which keeps them engaged. Fnatic is always looking to improve and Rainbow Six Siege is an ever-changing game; so there is always something new to learn or develop. Being naturally competitive people also helps their desire to be better. How much input do you have on game day? Game day is mostly about making sure that [the players] are ready with everything that they need to perform – physically, and mentally. [This includes] some refreshers and reminders about what to expect and prepare them mentally for what they may encounter. Coaches are allowed to call one timeout per map each. So if something is going awry, I can also try and help them gather themselves and reset. How did you come to be Fnatic’s Team Director and Coach? I have spent a lot of my life in sales and management, so I found that the role lended itself to me quite well. The point of me moving from a player to a manager and coach came when we were recruiting [Jason “Lusty” Chen] and had to make room on the team for some new members. I was happy to fall on the sword, as I was starting to get quite busy managing the team as it were, so I was doing it already; in hindsight. I think that I have a pretty good understanding of Siege, so I also coach the team, although I do dust off the boots when I absolutely need to. What does a typical day look like for you as Fnatic’s team coach? This is a tricky one because of timezones. I operate on several of them, but an Australian day will look like this: I usually wake up at about 10am and catch up on the Pro League games from around the world while having breakfast. I will also catch up on messages, emails, and tasks from when I was asleep. This goes until about 2-3pm. The [Fnatic] guys will get online and we will go over some new ideas and [strategies] that we would like to attempt. This will go until about 6pm, we have dinner from 6-7pm then start practice at 7.30pm. Practice, often called scrims, will go until about 2am. At this point the guys will go to bed, and I will try and hit the gym if I have time. I will then tend to meetings, emails, messages, and my managerial tasks until about 5-6am and then bed. That’s where the European time zones come in. On my quieter days we will stream on Twitch and play some Rainbow Six Siege or other games. At events [it] is a much busier and full on schedule, but [those] days for me often start at 5am and finish at 1am the next day. What do you look for in prospective players? I could rattle off a dozen quotes by Michael Jordan, Tom Brady, Vince Lombardi, and many other champions. Not just of their sports but of [their lives]. They all have a core fundamental [principle]; that is to work hard. It isn’t players that I look for, it is people. People with an innate character that does not shy away from hard work but relishes in it. I look for people that are respectful and humble that have a good, strong character, big ambitions and a tenacious discipline about how diligent they are in their craft. Natural talent is a big part of what is needed, but those with the drive to succeed have a quality about them. They work hard, they will not accept mediocrity, they demand more from their team and even more from themselves. Those that will give it everything they have and not stop, as well as an attitude of success is what I seek in potential players. It is one thing to be noticed but another to have what is desired. What makes Rainbow Six Siege so well suited to competition? I think the reason [why] Rainbow Six Siege is so well suited to competition is because there is nothing else like it. We have the obvious core elements of a first-person shooter, but we also have [multiplayer online battle arena] elements in terms of Operator picks on both Attack and Defence. That is to say that we have dozens of characters to choose from that all do their own unique thing in the game and certain Operators counter other Operators on the other team as well as have different synergies in your own line-up. On top of this, we also have a destruction engine in our game, which means just because you are behind a wall or in a room above us does not mean [that] we can not destroy the wall or floor/ceiling that is protecting you [by] using our Operators’ abilities. We can tear that wall down in a matter of seconds and the entire map has changed for the rest of the round. All this combined with many teams constantly experimenting means [that] Rainbow Six Siege is ever-evolving and rapidly changes what a team learns and what viewers see. You simply can not see anything like this in any other game. Rainbow Six Siege is an ever-evolving game, so do you approach changes as a team? It is true, Siege is changing constantly. With hundreds of professional teams across the world and millions of players, it can be hard to keep up. It is important to always watch what other teams around the world are doing. As they tend to practice together you notice their own little strategies to influence each other but with subtle changes. We also get new Operators every 12 weeks, which means that the way that old strategies worked can now change. Sometimes a new Operator will be released and you will dig up a two-year-old strategy and add a new twist with this new Operator, as they can do something or bring something that could not be done before. The best thing to do is be innovative, creative, and receptive to change. How do you see Esports growing in Australia? Australia can be archaic in some ways [that] we approach things, like renewable energy. Esports has started the same but is gaining traction quickly. We are seeing a steady and healthy growth in our scene of Rainbow Six Siege thanks to support from Ubisoft globally and on a local level. We will at least double the tournaments locally for this year compared to last. Other games are also seeing an increase in interest, tournaments, and funding. There was just a huge Fortnite event combined with the [Australian Open] that saw some of the biggest social media influencers in gaming in Australia for one of the biggest gaming events ever. There have been numerous investments by [Australian Football League] clubs into Esports [as well]. It is growing and [doing so] quickly. Do you think you might consider returning to competitive play somewhere down the track, or are the boots up for good? I do miss playing, especially after the game in Brazil [where] I had to step in for [Team Captain Etienne “Magnet” Rousseau], but I have bigger things planned and would not be able to dedicate the time required for that as well as what is necessary to continually play at that level. Let’s just say [that] my ambition and skillset is best left behind the scenes. How can our readers support Fnatic during the Six International? You can find the Six Invitational streamed on Twitch over at www.twitch.tv/rainbow6 and www.twitch.tv/rainbow6bravo where you can catch all the games. 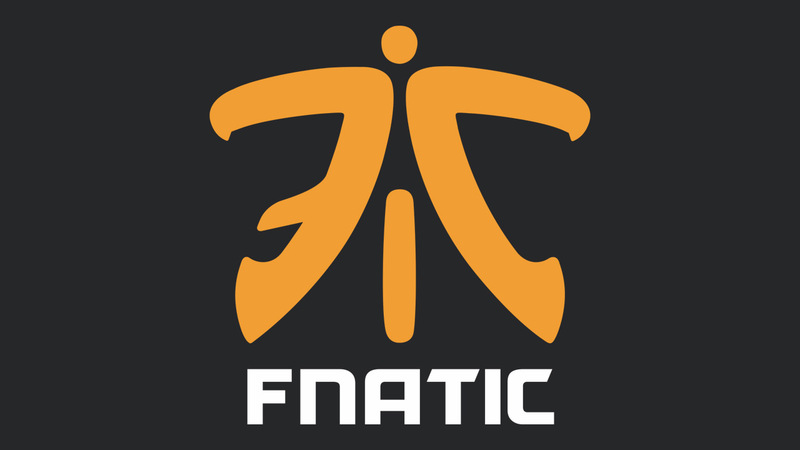 You can follow the team on Twitter, Facebook, or Instagram under @Fnatic on all socials. You can purchase the Fnatic skin and camo in the Rainbow Six Siege in-game store or you could even (shameless plug) subscribe to me at www.twitch.tv/dizzlewithaj where you will receive a Fnatic emote to spam in the Twitch channels. Join us in cheering on Jayden and team Fnatic as they take on international competitors at the Six Invitational 2019 from February 12-18 (Australian time) in Montreal, Canada! Jake Colosimo also contributed to this interview.